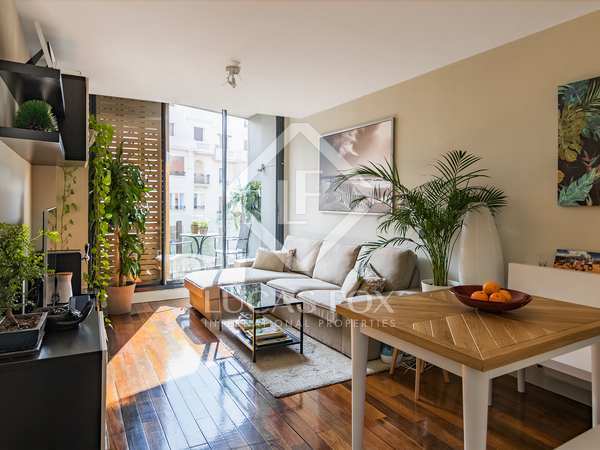 Magnificent, completely furnished and equipped property with 2 bedrooms and a beautiful terrace with views, for rent in the prestigious Chamberí neighbourhood, Madrid. 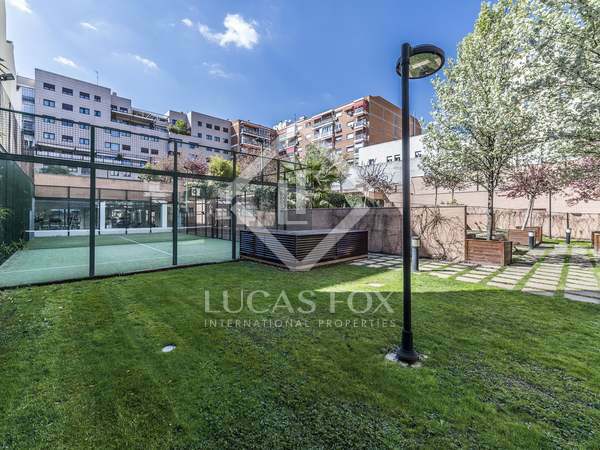 Excellent apartment with 2 bedrooms and 2 bathrooms for rent on one of the most fashionable streets in Madrid, with communal garden with a swimming pool, playground, gym and padel tennis court. Includes parking space.